Zoku means Family in Japanese and their products really live up to the name, being fun, innovative products for the whole family. 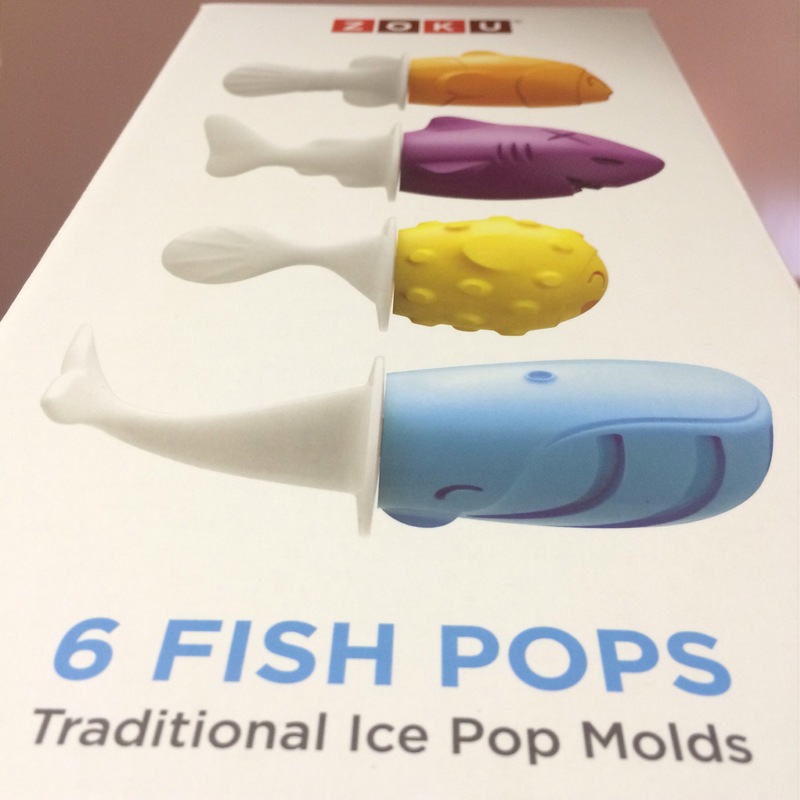 Anyone that reads this blog knows that I have been after the Fish Pop maker for a while, so when I saw that it was back in stock I wasted no time in getting it. Boy was I not disappointed! 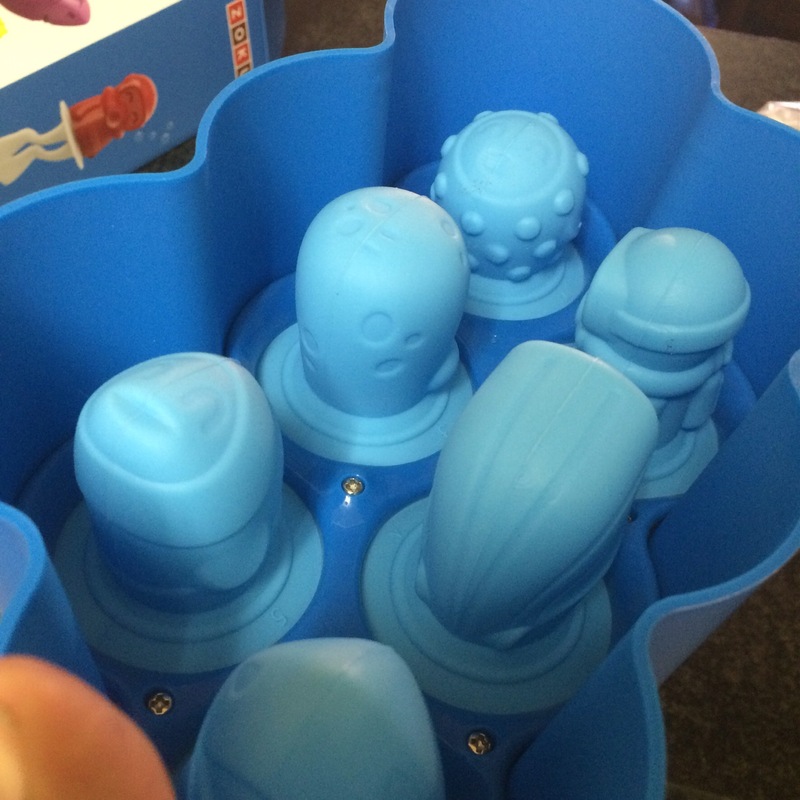 The Pop maker comes with 6 different molds, namely a shark, clown fish, octopus, whale, puffer fish and the awesome Zoku scuba diver. What is cool and adds to the awesomeness of this product is that the pop sticks that come included have tails that match the pop shapes and reveal a skeleton as you eat the pop. Now really, how cute is that! 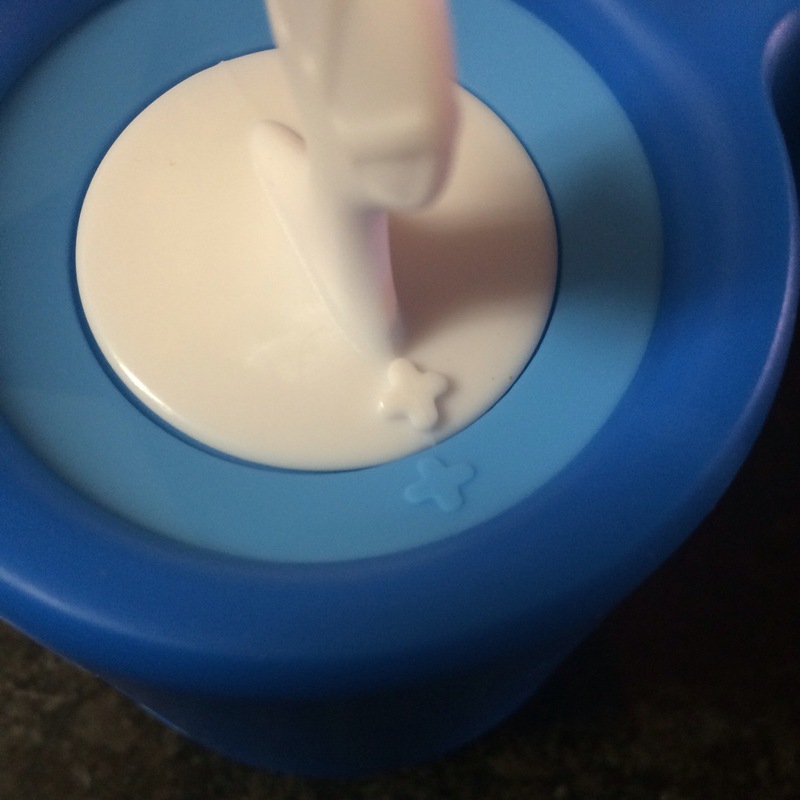 The instructions are also so easy and this is clearly a product that even your kids will have no problem using. 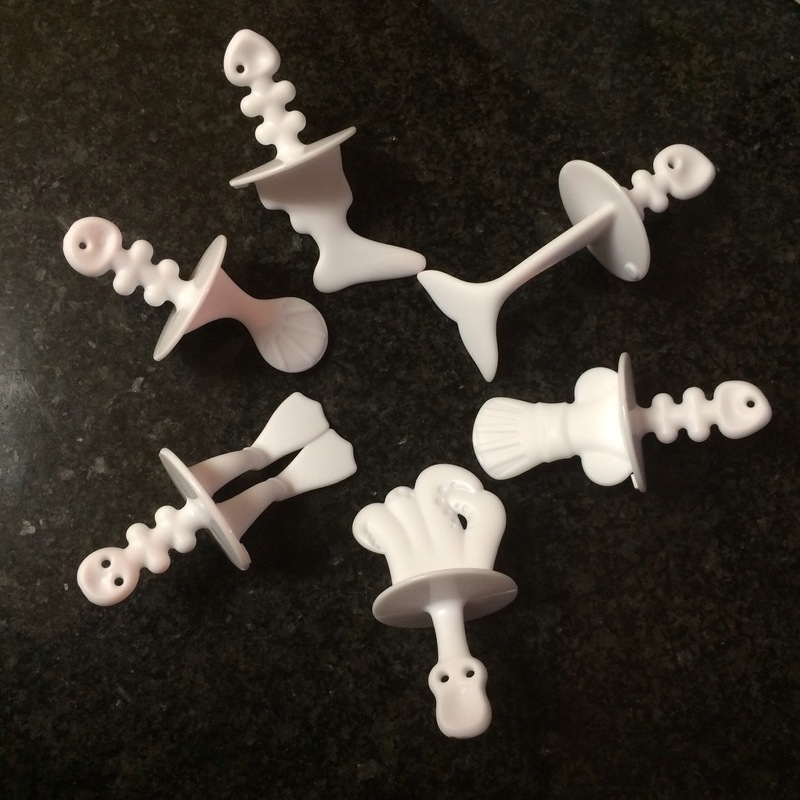 There are lines showing you the point at which to fill your liquid, and there unique markings on the matching sticks and molds for you to line up so that the feet/ tails are facing in the right direction when you pull your pop out. The silicone molds pop out easily, and the detailing on the characters is amazing. They take 8 hours in the freezer before they are ready. I suggest waiting the full 8 hours and not being impatient like I was or you may end up with a decapitated diver like i did! Cleaning is simple, just some warm soapy water and you’re done. It is a product that is well worth the spend and besides being a real treat for the kids, I know a few adults seem to get a kick out of it as well! 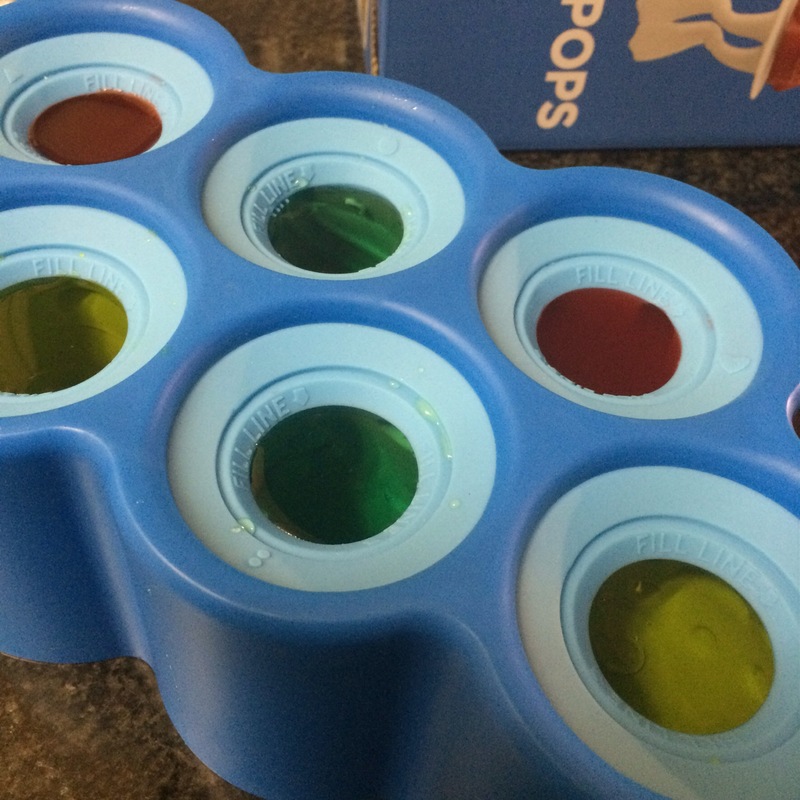 You can basically freeze any liquid to make your pops, so the possibilities are limitless. The lighter colours didn’t translate great into photos but in person the pops are fabulous and I cannot mention the detailing on them enough. 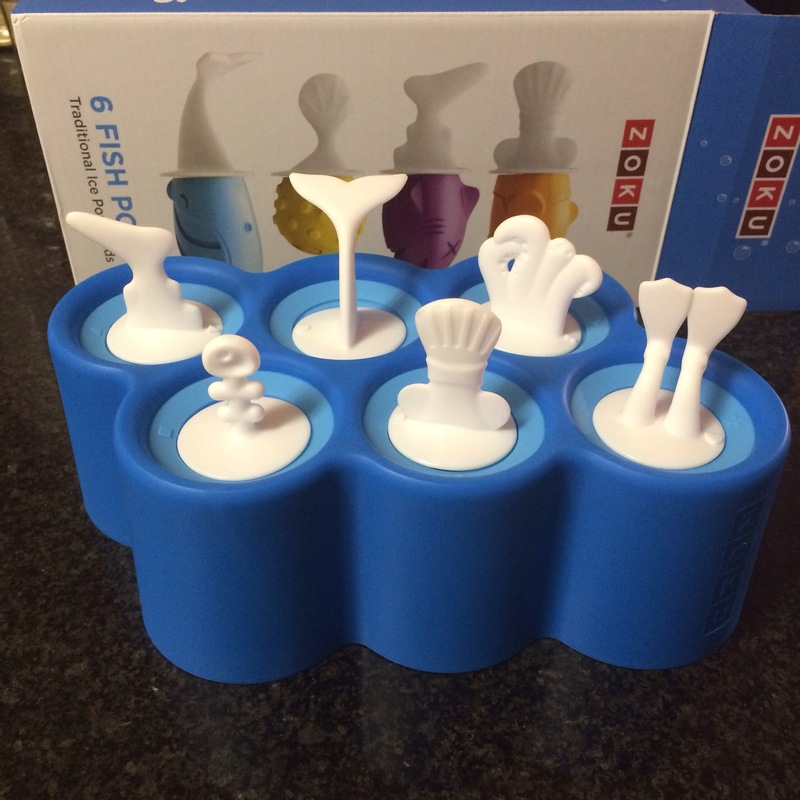 Zoku has a wide range of other products, and if you can’t bear to wait the 8 hours for your fish pops to be done you can always invest in their Quick Pop makers which will have your ice pops ready in 7 minutes. 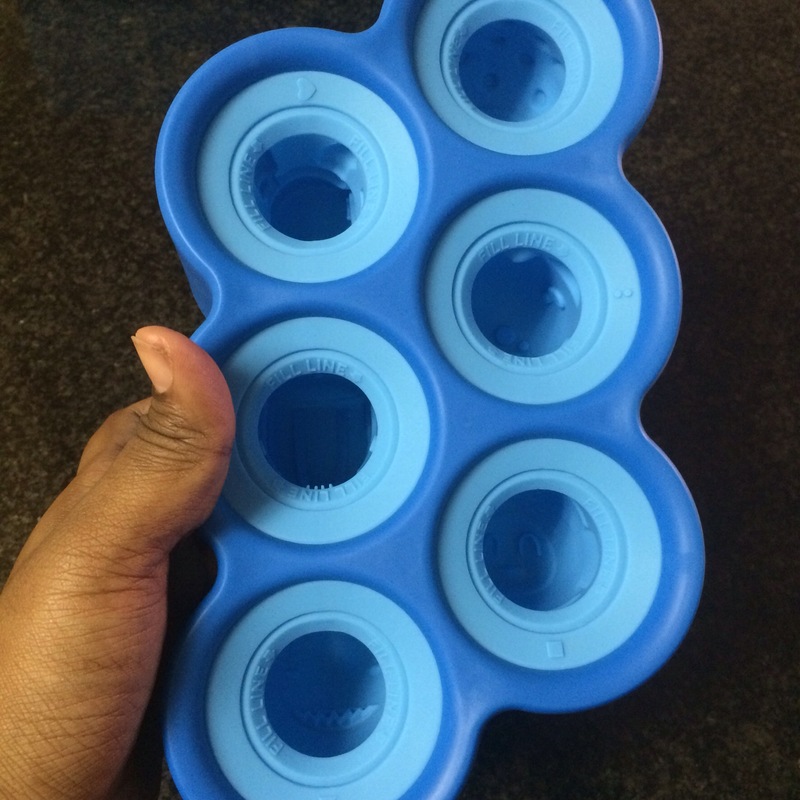 Other great products include the Ice Cream maker, Iced Coffee maker and my next purchase, the Slush maker. 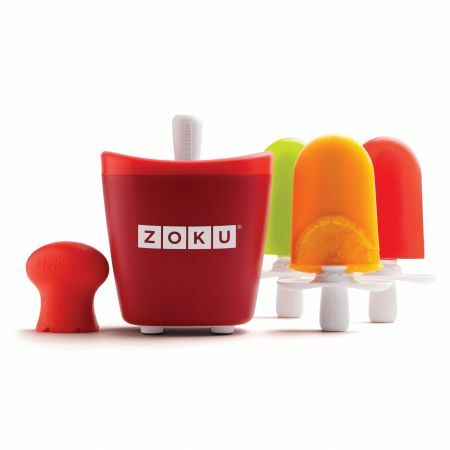 Zoku products are sold in 34 countries across the world and you can visit their website , www.zokuhome.com, for more information on all of their phenomenal products and recipes as well.